One of my favorite organization projects to complete is a small one that I use on a daily basis. 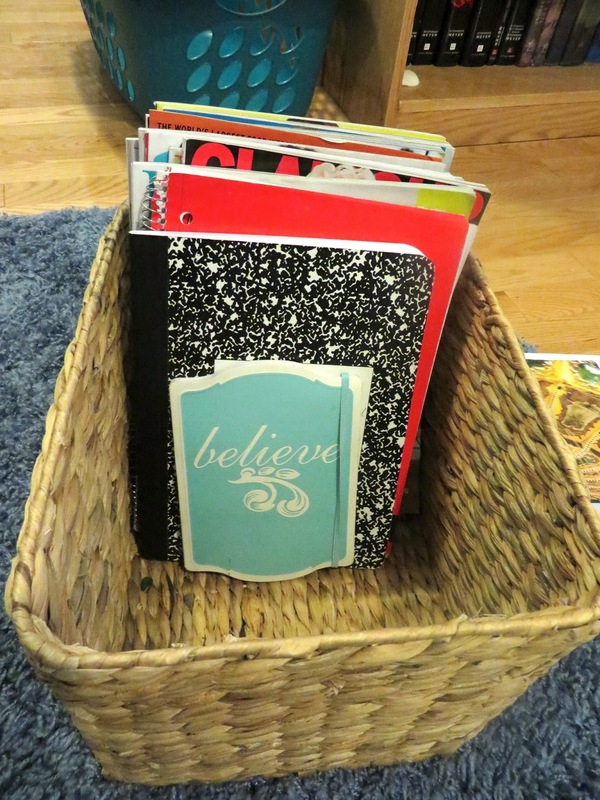 There is a basket in my room where I toss items as I come in or when I clean out my purse. A lot of times I don't have the time to sort out pamphlets, mail, magazines, etc and just need somewhere to put them until I have a chance to deal with them later. This basket was out of control. I had months worth of magazines, my new camera box, all the letters and other mail I had received lately along with papers from work. There was just a ton of things in there that needed to be tossed, recycled or placed somewhere they belong permanently. So I sorted, and I sorted until everything was piled the way that I wanted it. I made a pile of magazines, a pile of all the notebooks I had collected for different purposes, a pile of mail, and a pile of papers to file away. 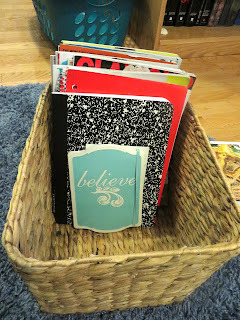 The only things that went back in the basket were my unread magazines and a few notebooks I use for different purposes. One of the notebooks holds my gift log, which I use to keep track of the gifts I give other people and also what is given to me. It comes in quite handy when I can't remember how I spend on certain people during holidays. I am able to look up what I purchased last year and what they bought for me as well. Another of the notebooks holds my food and exercise log which I have been awful at keeping up with. I also use another to keep track of the beauty products I try. 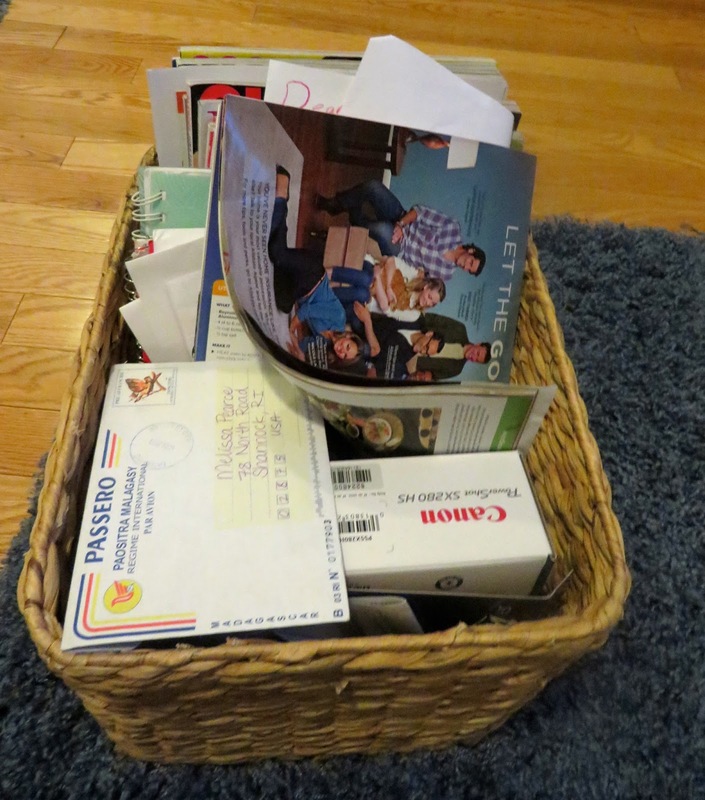 Other than having a ton of magazines to read, I think this basket looks so much better and I am proud to say that so far it has stayed that way. I'm sure sooner or later this basket will be filled again, and I will be cleaning it out once more...but for now I can enjoy how clean it is. What little organizing projects have you been doing lately? Last nights Bachelorette and some Roxy Love! Disney- Day 4, and Disney Haul!